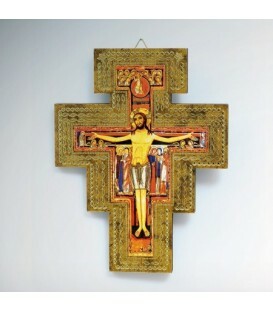 Polymer cross stone effect. 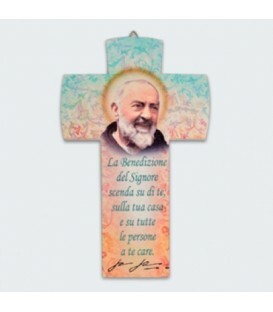 Process-color printing of the image depicting Padre Pio and his thought. 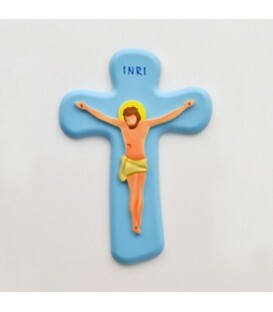 Application on back of silvered metal hook. 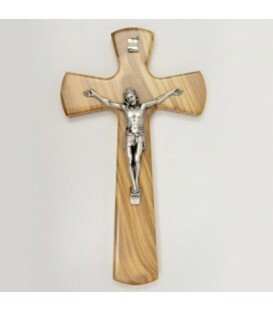 Crucifix from olive wood wall with hole on the back. 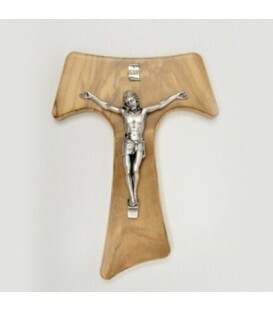 Christ in pewter. 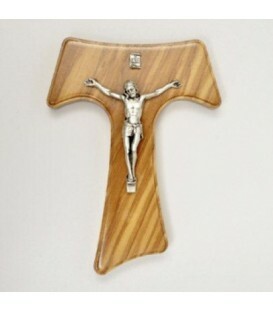 Tau crucifix from olive wood wall with hole on the back. 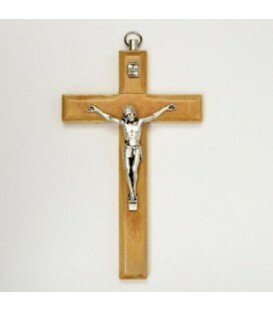 Christ in pewter. 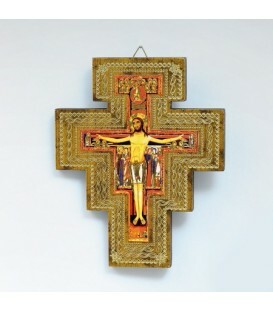 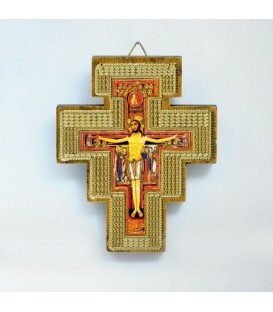 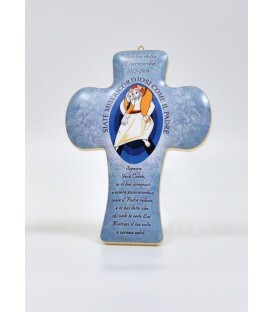 Wall crucifix in lacquered wood with a hole on the back. 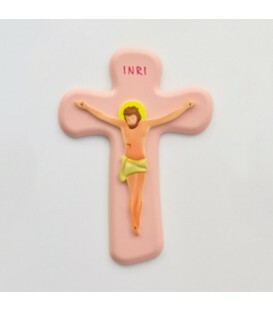 Christ in the polymer.